Left to right: Commander Teresa Burgess, Staff Sgt. Michelle Smith, Capt. Phoebe Inigo, Capt. Andrea Ourada (red hat), CWO Angie Barros (camouflage hat). Others are crew chiefs Michelle Aina, Leilani Aho and Crisaron Voeuth (top right). Previous story Left to right: Commander Teresa Burgess, Staff Sgt. Michelle Smith, Capt. Phoebe Inigo, Capt. 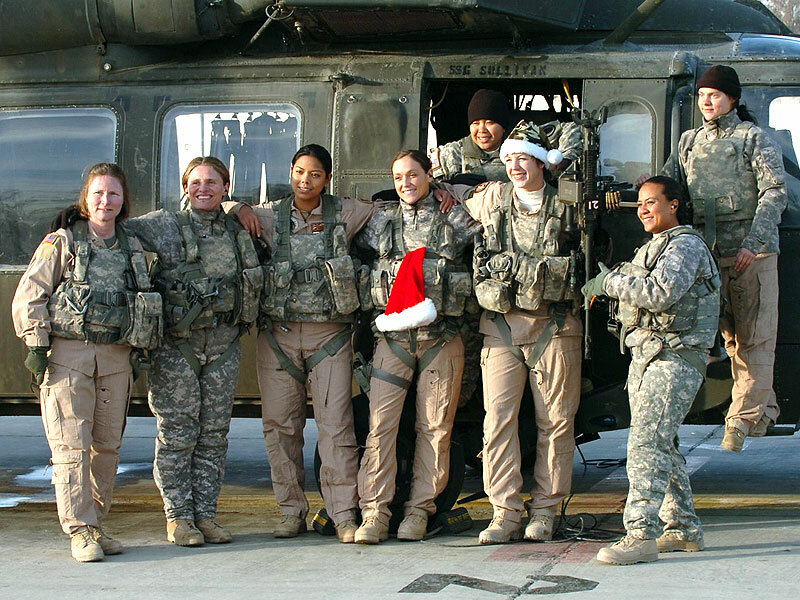 Andrea Ourada (red hat), CWO Angie Barros (camouflage hat). Others are crew chiefs Michelle Aina, Leilani Aho and Crisaron Voeuth (top right).